Bar Diameter: 3" Bar Length: 3"
COMMENTS: This mold is an upgrade from the ones I was using previously. They hold 5 ounces with a loofah embed and have smoothe, rounded edges. COMMENTS: This makes a really nice 5 oz bar of soap. So many cavity molds fall short of being a good bath bar but these are perfect. I use theme during holidays to place MP embeds on top as an easy holiday soap and I use loofah to embed in MP for pedicure bars. Perfect size for shave soaps as well. I really like this mold. COMMENTS: Works well for mp soap. It was not blue like the pic. The silicone was not perfectly smooth and did leave a slight texture on my bars, I’m probably the only person who noticed. "Rubber duvkies and loofas made"
COMMENTS: I get so many requests for my loofah soaps. But it's difficult to cut them (my hubby was using a band saw!). This way, I can precut my loofah to perfect size, and I get nice, even, professional bars. COMMENTS: I'm new to the bath fizzie hobby, and my husband knowing that, got me a few things from WSP! 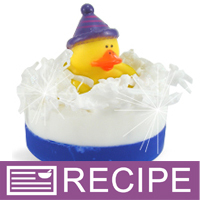 This mold is great for disk shape bath fizzies, and it's very durable. I may have to start making lotion bars, because this mold is the perfect shape for that too. "Round Basic Silicone Mold 1602"
COMMENTS: Got the basic round silicone mold 1602 to embed the vinyl Gold Fish in, as well as for making the Spa Duck Soap. The mold is very sturdy (yet flexible), and the depth of the wells make it perfect for embeds, plus it's a really nice size for a round soap. 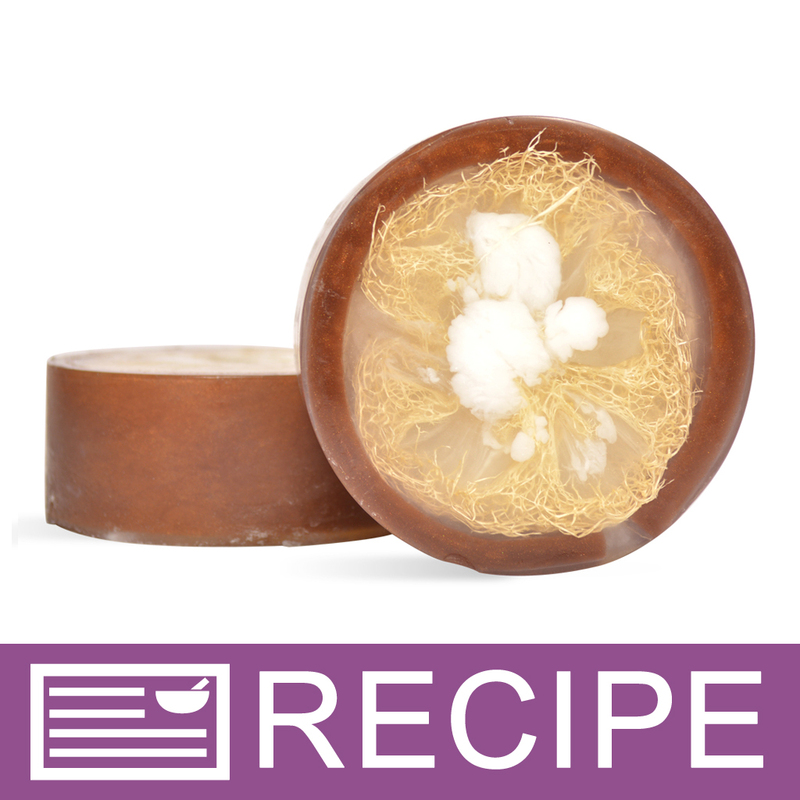 COMMENTS: Bought several of these to make loofah "infused" soap. They are just perfect! Glad I bought enough to make large batches. COMMENTS: I love this mold for facial bars, but I also keep this handy to pour in any extra batter I have at the time. These are very sturdy. Easy to un-mold your soaps. COMMENTS: I am new to soap making, but tried some melt & pour soaps and also used these for my lotion bars. I love that the mold is silicone and soft sided for easy popping out, but it also has nice sharp edges and corners. And a good depth! COMMENTS: This is a great little mold for your basic round soap. Nothing fancy, just basic and simple. Un-molds easily and cleans up well. COMMENTS: I love this mold... it's easy to remove product; it's very strong and durable; and holds it shape well. 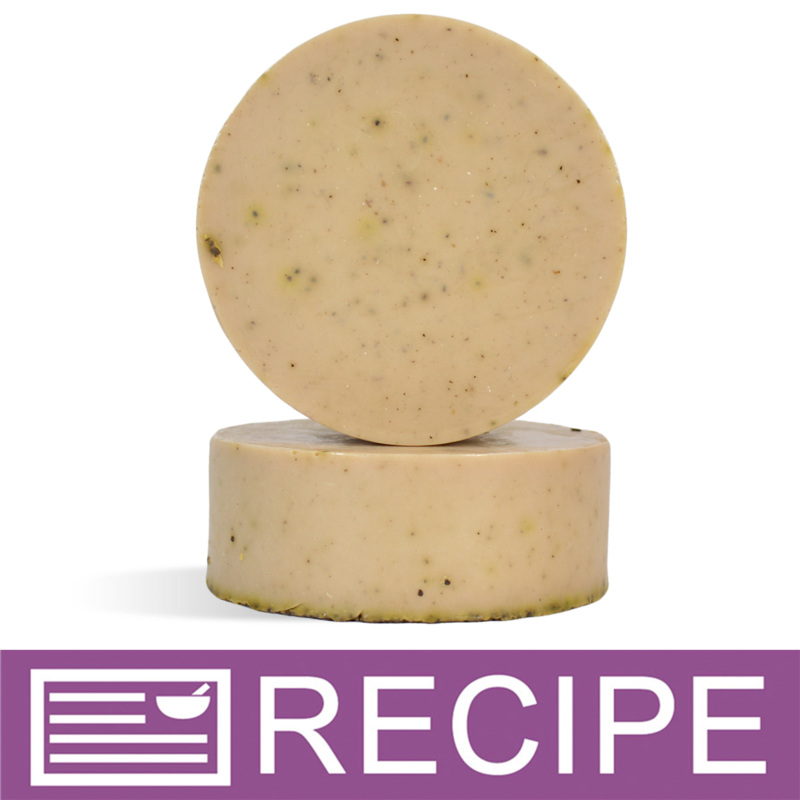 I use it for my luffa soaps, exfoliating scrub bars and bath bombs. COMMENTS: This is a great investment! Waayyyy better quality than the cheapie ones so price-wise it isn't bad at all. Not flimsy at all. Your soap are safe with this one. • The sturdiness of the material used. "Love, love, love this mold!" COMMENTS: Easy to use and flexible which has kept it's shape well. Produces a nice handling size soap. COMMENTS: Great molds that can be used over and over. Seems very sturdy and easy to remove the soap. COMMENTS: This is the best mold of its type on the market. I use it for loofah m&p soaps. Perfect size, excellent quality. COMMENTS: Perfect size. Made soap on a rope with loofah using M&P. Love silicone molds. It is sturdy, holds up well. I'm so glad that I got two. Will order another pair. 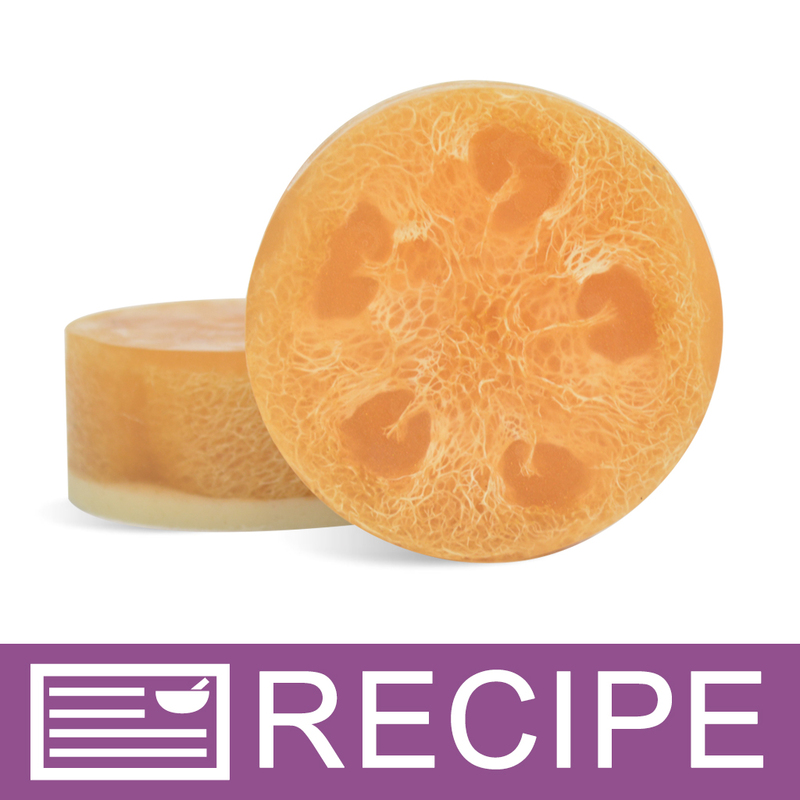 COMMENTS: This round mold is the perfect size for making exfoliating soaps with luffa. I love the fact it's silicone. This will be a great seller with summer coming up. COMMENTS: Used this mold to make luffa soaps and these were a perfect match with the luffas. Looks wonderful together. COMMENTS: Very sturdy, not flimsy at all. Used to make MP with loofah. Perfect diameter and depth. COMMENTS: I am in love with this mold. I will be able to make so many luffa soaps with this. My very first soap. Great experience. Thanks Debbie may for the recommendation . COMMENTS: I waited several weeks for this mold to be available once I read testimonials and saw pictures about how useful it could be. It was worth ever second of the wait ! 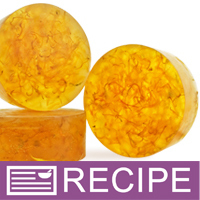 Makes six large size perfectly round soaps that fir very nicely in the hand. The silicon is stiffer than what I am used to, so the soaps are a little more work to unmold, but that is a minor problem. Exactly the right size for luffa rounds, and also works well when I pour see-through layers with flower or sea shell shaped soaps inside. COMMENTS: My most used mold! Wonderful quality!! COMMENTS: Great Mold! Will be buying more. COMMENTS: Great mold! This mold is very durable, and the cavities are just the right size. Pringles cans have served me well, but I'm excited to be able to do round soaps that I can dress up a little more than if I put it in a can. Soaps popped out beautifully. "Easy to use for CP"
COMMENTS: I bought the COMBO pack of these silicon molds. They are all easy to use and the shapes are all fun. I actually like the square and the oval more than I expected! My CP soap comes out of these very well. I have made plain bars in these already. Now I am thinking about stamping the bars for extra flare. COMMENTS: I used this mold for my first try at melt and pour soap. I found it very easy to use. My soaps came out perfectly! I also like the size of the soap that it makes. I'm sure I will be using it again and again. COMMENTS: I use these molds for MP as well as CP soap and they have held up nicely. They are all just as sturdy now as they were when I purchased them several years ago. For the CP soap, I simply put them in the freezer before pushing them out, and they work perfectly. I plan to order more soon for making bigger batches! COMMENTS: I have purchased this mold a couple of times and have not been disappointed. It's the perfect size, strong, sturdy, easy to unmold and easy to clean. I use this mold for m&p soap and bath fizzies. Couldn't ask for a better mold! COMMENTS: One of my favorite soap molds. Makes perfect size bars. I have bought these a couple of times and intend to buy more in the future. COMMENTS: The silicon molds are definitely the way to go with the CPOP soaps! Easy to use, easy to clean! I will be buying again! "Easy release for soap and lotion bars"
COMMENTS: I bought this mold for my 4 oz. lotion bars that I place in a flat tin. Easy release and clean up is a breeze. Also started making soaps in these, will be purchasing more! COMMENTS: All of my favorite soap molds are the CC brand. Very strong and hold their shape. 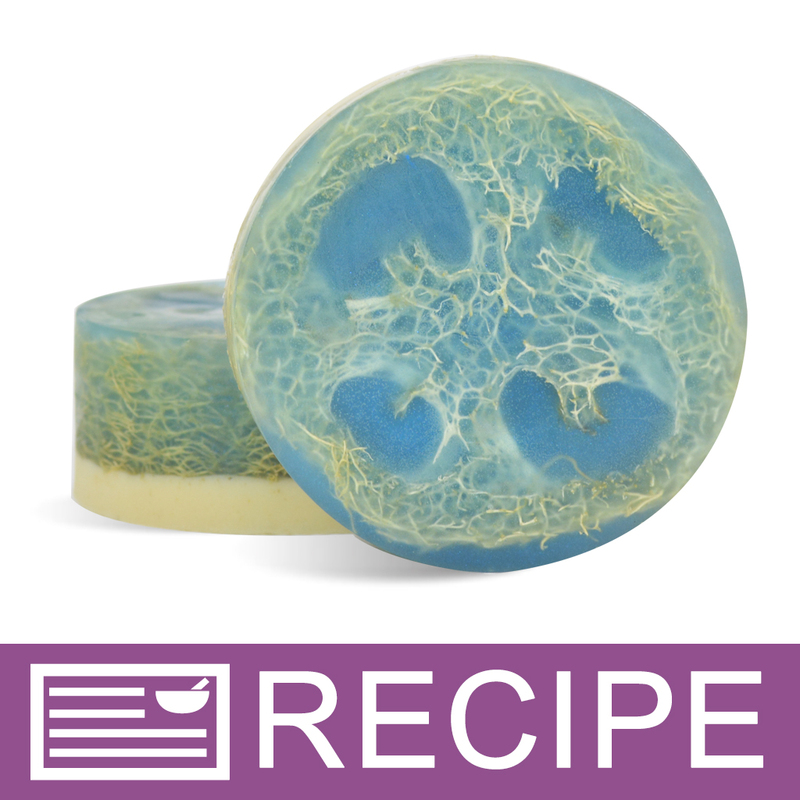 COMMENTS: Use this mold to make my luffa soap, and they came out amazingly easy. Can't wait to make more soap with. COMMENTS: Produces nice round bars. Thus far, I've been using this mold when I have more soap than fits in my loaves. COMMENTS: This mold is perfect for my loofah soaps! The soap is easily unmolded and it is a great quality mold! I bought 1 and loved it so much I bought 4 more! "Silicone Molds are great for MP Soap"
COMMENTS: I liked this mold very much, so easy to unmold and perfect size, I used most of the time for embed personalized designs with water soluble paper. COMMENTS: I am so pleased with this mold!! It seems like such a simple thing, what you see is what you get but I was still surprised when I received it! It's deeper than I was expecting so it makes a perfect, smooth, large chunky bar. 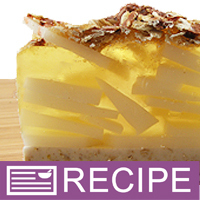 Even better, it is extremely easy to unmold both cold process soap and melt and pour. I made 3 batches of cold process yesterday and I found this extremely helpful for the small amounts of soap batter left. I love this mold! COMMENTS: Makes nice round soaps. I sell out every time I make soaps with the mold. Perfectly round! Takes 2lbs of MP to create 6 bars. COMMENTS: I have started using this mold exclusively for my facial bars. They really looK professional and I am loving my round facial bars! COMMENTS: Easy to use, perfect for popping out melt and pour soap bars with ease. Would recommend and will use all the time. "Love to make loofah soaps with this mold"
COMMENTS: The cut loofah's work great in this mold and my customers love them ! COMMENTS: Good to use and unfolding the soap was easy. 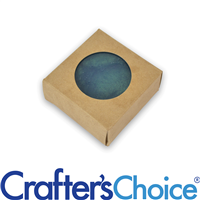 COMMENTS: I love all of the Crafter's Choice silicone molds. This one is no exception! COMMENTS: This mold worked great for my loofah soaps. They are the perfect size and they come clean. COMMENTS: I love this mold. It makes nice round soaps and unmolds very nicely. COMMENTS: I love this mold. I used it for my "duck soaps" and they look awesome!!! Very easy to unmold which was great! 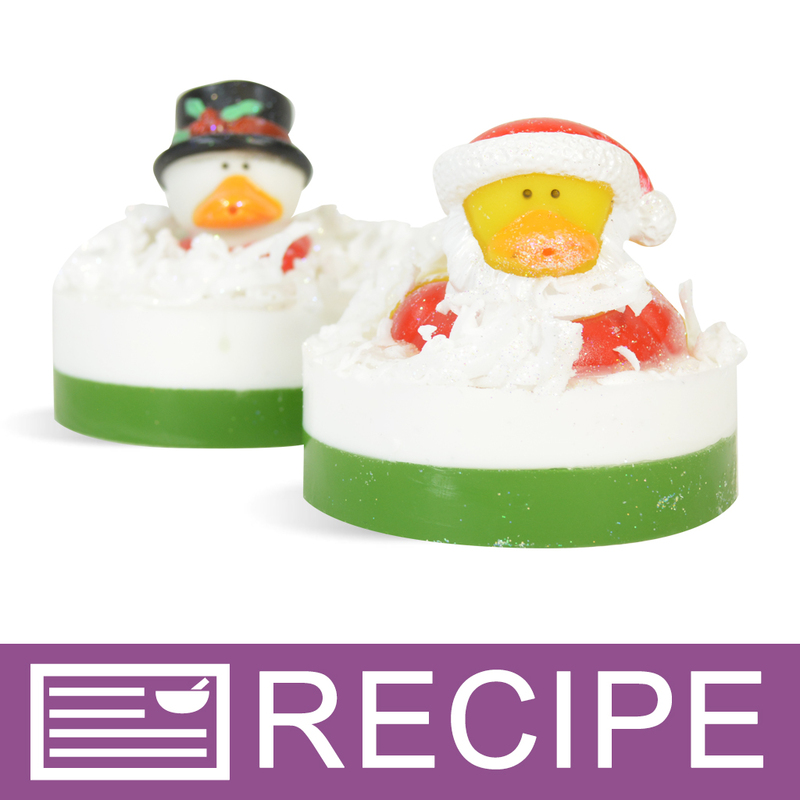 COMMENTS: This mold is great for making all kind of soaps, from childrens duckie soaps to regular bath soaps. I purchased this with the mold kit but will be ordering more molds individually. COMMENTS: One of my favorite mold's, use it all the time. COMMENTS: I ordered this mold over a year ago. It gets used very regularly in my house, and hasn't shown any signs of slowing down. I love it so much, I think I need another! "Round Basic Silicone Mold 1602 "
COMMENTS: WOW! I love these molds. They are perfect for lotion bars. Also awesome when you have soap left over after filling a loaf. 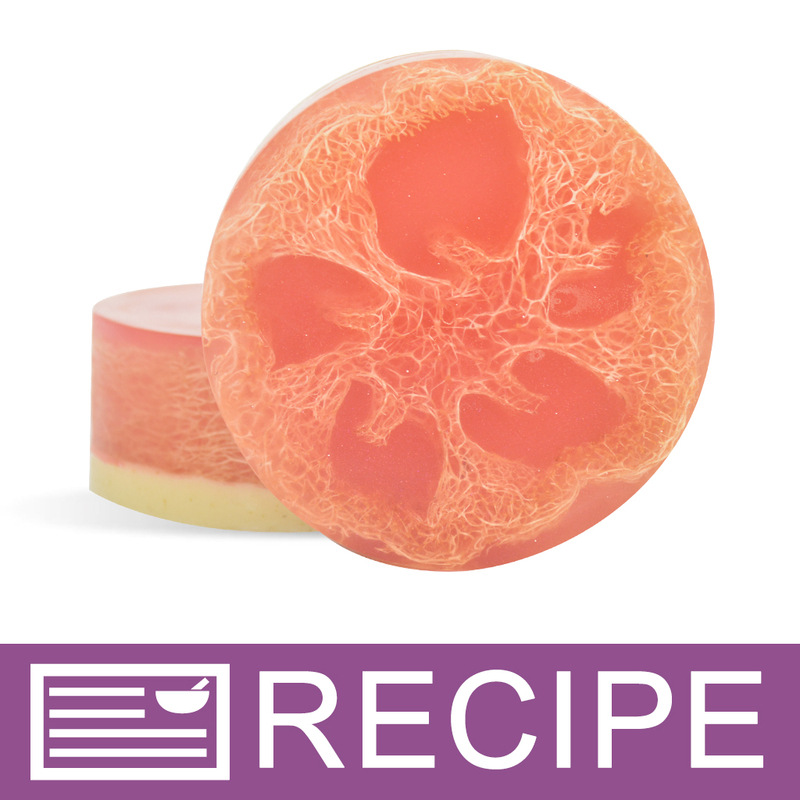 COMMENTS: Worked perfectly to fit the 10" loofah in for the tomato soap slices. COMMENTS: This mold is very useful in making shaving pucks for men! Highly recommended! COMMENTS: Very easy to use. COMMENTS: This mold is super easy to unmold MP soap from and turned me into a round soap fan. I love that you get a nice solid 5 oz bar from the mold. COMMENTS: Works great and releases the soap very easily. "Perfect for a good full size bar"
COMMENTS: This mold is a great addition to our set. Nice full size bar that is easy to hold. This works great with the pre- cut lufas. COMMENTS: This mold is primarily used by us for the duckie M&P soap. We plan to use it in CP with imbeds. COMMENTS: I use my round molds every time I soap! I just love them. Soap releases easily. COMMENTS: These were so easy to use and clean. The soap just popped out when it was ready. COMMENTS: This is my favorite mold! It is a great size and the soap pops out easily. COMMENTS: this is a fantastic mold, easy to work with, and durable. It is great for my luffa soaps and shaving soaps. 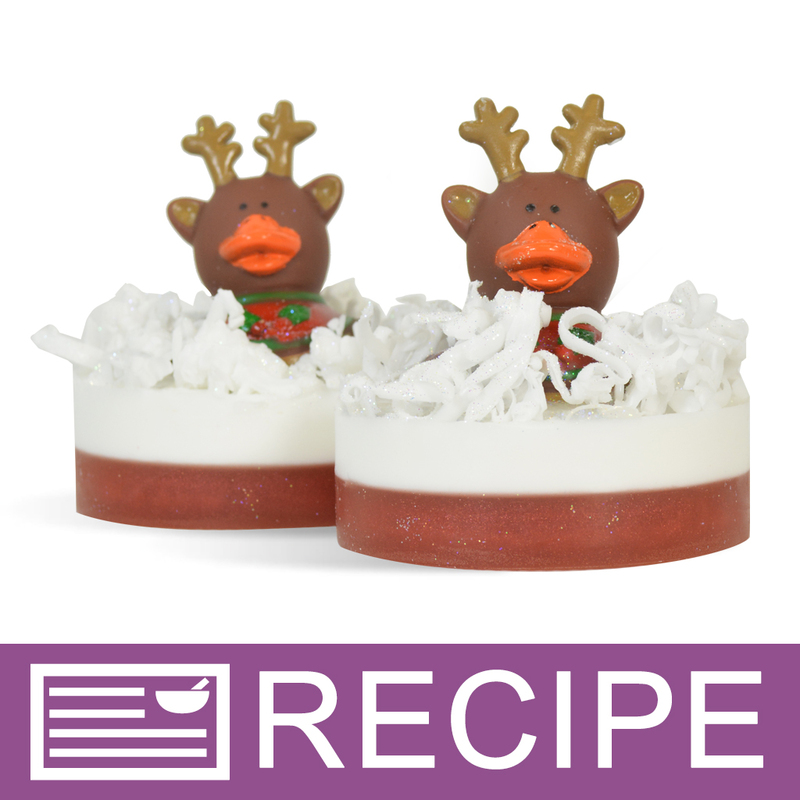 "I love it for special recipes"
COMMENTS: I like to use this kind of mold for special soaps. In my case I use this one for facial bars. COMMENTS: Happy with this purchase. Makes great size bars, although they didn't come out to be 5oz. A bit hard to unmold even after soap has completely hardened. The bottom of the mold is wider than the top so when pushing the bar out it gets a bit squished. COMMENTS: I have nearly 8 of these molds and I love them. They are great size to make shaving soaps. The molds are very sturdy as well. COMMENTS: I use this mold to make "pill" shaped bath bombs as well as round shave soaps. Perfect size, perfect depth, perfect amount....love this mold !!! COMMENTS: I love the size of this mold. It makes the perfect HP soap cake. COMMENTS: I love this silicone mold. It is super easy to unmold my soap and the size is perfect! 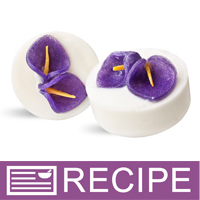 COMMENTS: I use these mostly for luffa embedded soaps and salt soaps. They make perfect smooth round soaps. I love these for salt bars. Removal is tricky at first but gets easier with use. COMMENTS: THIS MOLD DID A REALLY GOOD JOB FOR OUR MELT AND POUR SOAPS. AS WITH OTHER CRAFTERS CHOICE MOLDS IT WAS VERY PLIABLE AND ALWAYS RETURNED TO THE ORIGINAL SHAPE AFTER UN-MOLDING. A VERY SMOOTH FINISH WAS LEFT ON THE OUTSIDES OF OUR SOAP AND COMPLEMENTS WERE MADE OF HOW NICE OUR SOAP LOOKED. I WOULD BUY AGAIN IF MORE MOLDS WERE REQUIRED. I WAS ABLE TO BARELY SQUEEZE INTO A 4X6 SHRINK BAG, SO A 6X6 WOULD BE FINE TO USE. COMMENTS: Ok but kind of difficult to unmold. COMMENTS: Makes cute round bars that are smooth and pop right out of the mold. Cleans up easy too. COMMENTS: Love this mold! It makes a beautiful soap bar....a little extra touch from a square bar. It is a perfect size also. I made lavender scented soap with lavender buds in it. They look great! COMMENTS: These silicone molds are so easy to use. They make a perfect product every time! I absolutely love them. Great for those specialty soaps and shave pucks. Buy several and it can make your production work so much easier. "Great for shaving soap pucks"
COMMENTS: I use this mold to make shaving soap. Soap unmold very easily every time. These soaps fit in the 8oz. low profile plastic jar. COMMENTS: I love this mold! I received it in the Calendula Sun M&P kit. It is a great mold for the price, and it is durable as well. My soaps released easily, and each mold makes a decent sized bar of soap. I plan on using it for my cold process soaps as well. COMMENTS: I use this mold over and over for my loofah soaps. All of my molds are from WSP and work great. COMMENTS: This is a great mold, easy to work with, love the silicone soap molds. I wish they made this is 3 and 4 ounce size. 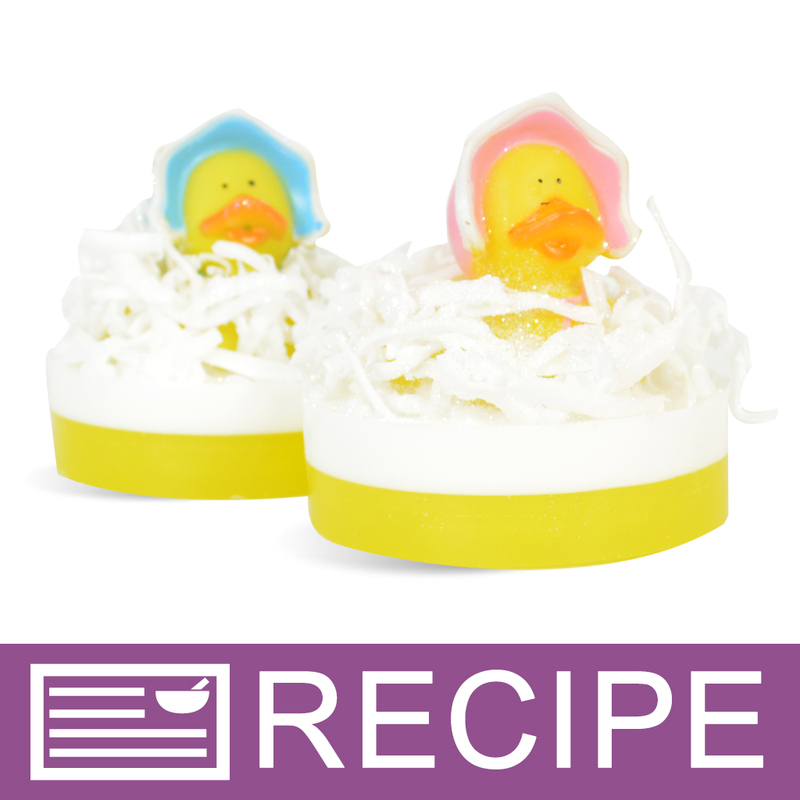 Works great for the rubber ducky soaps! COMMENTS: Very easy to pop out soap when done! COMMENTS: I like using this mold for my "men's" scents! I think it's a great option for when you are differentiating between men's and ladies scents! COMMENTS: Great durability, and the perfect size for face scrubbies and lotion bars. I love it! 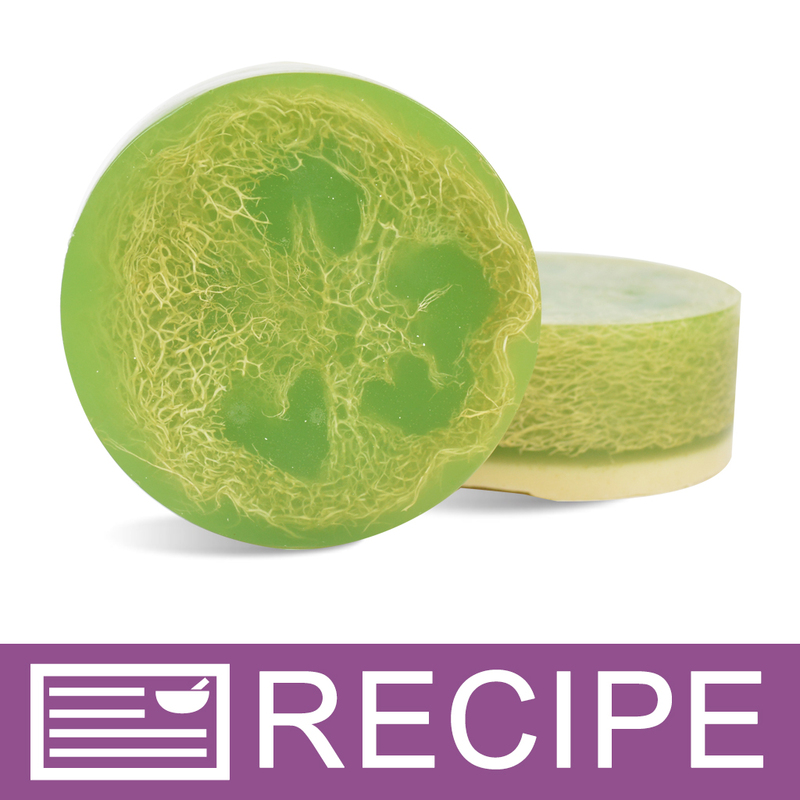 COMMENTS: I bought this mold specifically to made luffa pedicure soaps and was 100% satisfied! It's the perfect size and the bars come out very easily. It's a great size for facial bars as well. "best round mold out there"
COMMENTS: This is with out a doubt the best round mold out there. Sturdy and flexible with shiny finish. Great for my pedi bars! COMMENTS: I use this mold to make guest soaps with my leftover CP soap batter. The product comes right out and it's so easy to clean up. COMMENTS: I love this mold and it is very high quality. Seems a little stiff at the beginning maybe that will fix with time. I lov these molds. COMMENTS: Plain & basic, no frills...great for a men's set or for shaving pucks. Mold is a bit stiff, I had issuing getting my MP pucks out of the mold even after freezing for 3hrs. COMMENTS: I love it! so easy to remove my loofah soaps from it. Definitely will be buying more. COMMENTS: This mold is very sturdy and makes a nice disk like soap. COMMENTS: Just purchased and love it after the first use. Very easy to unmold and very versital. Beautiful finished product. COMMENTS: I bought these to use along with the 7/8 luffas and I am extremely happy with my finished product! Using the silicone mold I was able to easily pop out each soap once it had hardened without much effort. I will definitely continue to use this product and purchase Crafters Choice silicone molds! COMMENTS: Nice weight. Firm yet flexible. So many silicone molds are just too flimsy to use but not this one! Perfect for color stacking soaps and for making the foot scrubbers. I liked it so much I purchased another one! • Good construction. Easy to use. COMMENTS: I really love this round mold, its perfect for my loofa soaps. They fit right in and come out shiny. Its a little tough to get them out but, its well worth it, the shape is perfect! Don't waste your time and money on other molds, these are the best! COMMENTS: So far so good, these molds are the perfect size and wrapping in a coffee filter is so easy! COMMENTS: I wasn't really crazy about these molds. It was hard to tell in the photo and I thought they would be rounded but they are really shaped like hockey pucks. With black soap they will be the spitting image! Othewise, they worked just fine. Just not the most attractive soap, in my opinion. COMMENTS: one of my favorite molds. Makes all my loofahs so uniform. COMMENTS: Great quality, easy to handle & use, allows for individual designs. COMMENTS: I really like the size of this mold! And when I un-mold my melt and pour soap it has a nice glossy finish to it from this mold. It is a little tough to un-mold soap from these but if you push with your thumbs with even pressure, it will eventually start to pull away from the mold. COMMENTS: This is the perfect size mold for making loofah soaps. I use a clear melt and pour soap base mostly and very easy to unmold the soap. "The great flexibility makes this mold easy to use!" COMMENTS: I love that when I take my soaps out of this mold, they come out easily, with no effort. I use them to make larger body bars and the size is perfect. Sometimes, in deeper molds it is hard to see if the soaps are completely hard. The flexibility and slight transparency of this mold makes identifying when soap is finished much easier. COMMENTS: Love this mold! The other mold that I had been using was a plastic mold, and it would crack every time. It was extremely hard to take the soaps out, so I switched to this mold. I love it. Easy for the soaps to come out, and no problems what so ever. Defintely one of my most favorite and used molds. • Easy to take out. COMMENTS: This mold makes full sized round bars with crisp edges. Easy release from the pan. Love it! "This is a great mold"
"I plan to use exclusively for my CP Soapmaking"
COMMENTS: I am one of those people that does a ton of research and watches a zillion how-to videos before I get off the pot to finally try something. Soapmaking was no different. I am very NEW to soapmaking and ordered 2 of these molds to make my soaps as I have an odd affinity to circles and thought these would be easier than starting with a loaf mold. I just made my first batch of CP soap using these molds less than a week ago. I made a 1lb batch of luxury soaps in case I screwed anything up. The 1lb batter filled the six cavities in the mold quite nicely. I unmolded my two layer soaps the next day and they were beautiful and didn't separate upon unmolding. I immediately weighed the bars and I noticed they were not quite 5 oz each but then I realized that is because I left about 1/8in. of space at the top. So if you want a 5 oz bar upon unmolding you may want to fill to the tippy top of each cavity. My bars are definitely in the 4.5 oz range however. I'm okay with them shrinking a little more as they cure. After 24hrs and already unmolded, I got a bee in my bonnet to put soaps back in mold and put in oven to see what happens at 170 degrees and they took the heat like a champ! I didn't use any scents but they appeared to wash out cleanly. I Just ordered two of the 1.5 oz molds just like this, now that they are back in stock, to make smaller soaps for my coworkers and to test out new scents. I also plan to use these for lotion bars for my household and maybe even bath bombs. I'm so happy with my new hobby and even happier I found WSP! COMMENTS: We use this mold for many of our customer favorites! The bars are perfect circles, they are easy to remove, and the clean up is sooooo easy! This make the perfect size for shaving soaps and large lotion bars! COMMENTS: I have been wanting this mold for months and it was worth the wait! Makes perfect round circles, soap comes out nice and shiny, strong, and best of all...soap just comes out so easy! No more pushing and tugging, and nail imprints like the plastic one. Love it! "Soaps Come Out Perfect Every Time"
COMMENTS: I purchased this when they were yellow colored so I haven't had a chance to try the new clear ones. It's built strong so there is no bowing and it has stood up to me pulling and stretching it. The results are consistent and I couldn't be happier. COMMENTS: I got this in the mail 2 days ago & I used it right away for my round loofah soaps. Worked so well, and gave the most perfect round soaps. Super easy to clean & the soaps also popped right out. COMMENTS: This mold was out of stock for what seemed like forever... But it was well worth the wait. I'm not sure why, but my customers always seem drawn to the round soap bars. Plus, this mold gives nice, smooth edges and a great-sized bar. Easy to unmold, durable, and very easy to clean. Also the best mold for my loofah bars!!! COMMENTS: like this mold for my lotion bars, I find they come out easy and have a nice clean look.. fit nicely into a round tin as long as I do not fill mold all the way! COMMENTS: These clear molds are super durable, holds up great and the soap pops out clean and easily. COMMENTS: These silicone molds work very nicely in M&P soap. They unmold very easily and quickly. They save time and effort. I highly recommend these and the other silicone molds WSP offers. COMMENTS: Easily remove the soap. So versatile! "This mold makes beautiful soaps!" COMMENTS: I sell a lot of M&P soap and this is my primary mold. It produces a beautiful disk of soap with perfectly smooth and glossy surfaces. 5-ounces is a large, impressive bar. It looks appealing, shows well and feels great to use in the shower. These molds are quite flexible, but can tear if you're too rough with them. I've had trouble with only 1 out of 5 molds, though. • Finished soap has smooth, glossy finish. • Produces a large beautiful disk..
• Relatively easy to unmold soap. COMMENTS: This mold is so nice for smaller batches of soap. Six quick, perfect bars. Love the clean edges and easy removal. COMMENTS: I am very pleased with this mold. The bars are a good size and unmolding is easy. "Can you please make a written recipe on how to make pinwheel soaps? Thank You." Staff Answer Here is a video showing how to make pinwheels: http://www.wholesalesuppliesplus.com/handmade101/watch-to-learn-videos/tips-for-making-pinwheel-soap.aspx. Each round cavity holds 5 oz. of soap. You can gauge how much soap you will need and add 3% fragrance. Color would be added to desired shade. "Will these boxes work with the mold 1602?" Staff Answer Yes, these round bars would fit into this soap box. "How do I determine the amount of oils needed for this particular mold? I usually do: Length(of mold) X Width X Depth X 0.4 Please advise. Thanks!" "These look different. 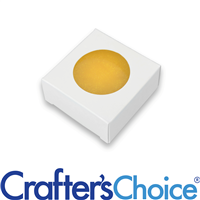 Are these the same as the Yellow 0602 Crafters Choice Round Basic Silicone molds, and the Yellow 1602 Crafters Choice Round Basic Silicone molds? Is 1602 and 0602 the same thing?" Staff Answer Yes, these are the same molds as the yellow ones. We changed manufacturers several years ago and the silicone molds are now all made in clear. "How in the world do you get the melt and pour out of the mold? I tried lubricating the mold I tried the freezer I tried the refrigerator I cannot get the soap to release I literally have to turn the mold inside out to get the soap out." "How many ounces (cp process) can this mold hold?." Staff Answer This mold will hold a total of about 30 ounces of product. "Can these be used for homemade vicks shower tabs"
Staff Answer Yes this mold would work great for larger shower tabs. We also have a guest size round silicone mold 1607. "I am making soaps in a 3 inch pvc tube for a client. He is very specific in what he wants. Is this mold comparable? Are the edges rounded or squared off. I'd like to try it, but want to be sure before I buy it. Thanks!" Staff Answer This mold is very similar to a slice of soap from the PVC pipe. It does not have rounded edges. After testing this mold for the client I've been working with, both he and I love it! There's no trimming or working with the bars at all. I just pour the soap in, wait for it to harden and peel the mold back when the soaps are ready. Its so much less work and has saved me a lot of time and frustration. I've just ordered two more and will probably end up with a dozen eventually. Thanks so much! !